One chair. Two tired critters. It’s war! Unless these two can learn to share… The big bear-thing has the big cosy chair. But here comes an angry little bear-thing. ‘I had it first,’ he says. ‘IT’S MINE!’ But the big bear-thing is having none of that. Finders keepers! ‘I have it NOW’, he snaps. 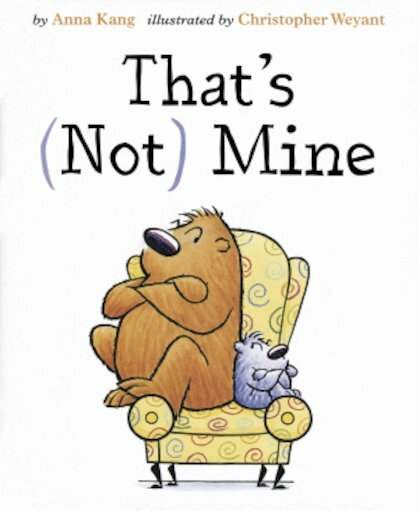 ‘Its mine!’ That’s how the quarrel starts – but how will it end? Who’s right? Who’s smarter? And who will get the chair? See how laugh you can loud with this super-funny story where the critters’ expressions and gestures say just as much as the words.